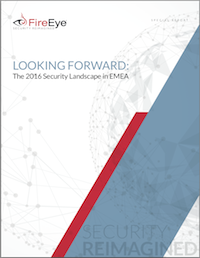 The 2016 Security Landscape in EMEA | FireEye Inc.
2015 saw cyber attacks and data breaches go from obscure ideas to a mainstream problem. The year was filled with one-off incidents to longer-term activity from advanced actors. With the attack surface and threat landscape constantly shifting and evolving, next year is bound to keep IT staffers, vulnerability seekers and security researchers hard at work. Our experts at FireEye are able to very accurately predict the trends and ultimately stay ahead of the curve due to far-reaching visibility, as well as access to vast amounts of valuable intelligence. To help prepare for 2016, FireEye experts have used this intelligence and got together to give their take on what to expect in the coming year. 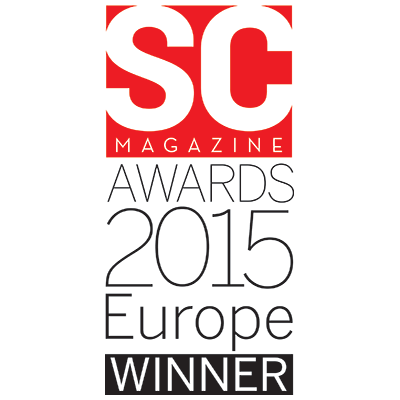 Download the report and get access to the top five FireEye 2016 Security Predictions for EMEA.